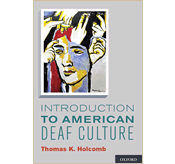 This is the seventeenth weekly installment featuring highlights from the 20 chapters in the new book, Deaf Eyes on Interpreting, edited by Thomas K. Holcomb and David H. Smith, which was released in June by Gallaudet University Press. Wyatte Hall makes the case that cultural conflicts are the basis of many of the problems between Deaf people and interpreters. While interpreters feel that they are following professional standards, Deaf people feel insulted that their cultural norms are being violated. For example, each group has a different perspective on the concept of “neutrality.” To Deaf people, neutrality means that an interpreter should work in a way that elevates the position of Deaf people to a level where they could truly function as equals to hearing people. But to most interpreters, neutrality means to treat both their Deaf and hearing consumers the same. To improve the interpreting experience for Deaf people, Hall proposes that interpreting models need to evolve to a more on Deaf-centered approach. This model would address: feedback, pacing and partnership among other topics. His basic message is that interpreters should work WITH Deaf people, not FOR them. Posted in ASL, Deaf Culture, Deaf Culture Values, Deaf Eyes on Interpreting, Deaf-centered interpreting, Deaf/hearing cultural differences, interpreters, New book, Deaf Eyes on Interpreting, videos from book contributors and tagged cultural conflicts, Deaf Eyes on Interpreting, Deaf-centered interpreting, deaf/hearing cultural differences, new model for ASL interpreters, Wyatte C. Hall. Bookmark the permalink. This is the eleventh installment featuring highlights from the 20 chapters in the new book, Deaf Eyes on Interpreting, edited by Thomas K. Holcomb and David H. Smith, which was recently released by Gallaudet University Press. This chapter continues to explore the theme of interpreting issues related to Deaf academics. In their chapter, “Case Studies of International Conferences: A Social Justice Framework for Interpreting,” co-authors Patrick Boudreault and Genie Gertz provide an analysis of events that transpired at two international conferences. At both conferences, the Deaf people in attendance were frustrated with their limited access to participate in the conference proceedings. Because of this, they prepared formal documents outlining their concerns with the goal of identifying problem areas and solutions for increasing equality and access in future conference spaces. Using the social justice framework, Patrick and Genie examine these two documents with a focus on how interpreters can work closely together with Deaf people to ensure equality in multilingual spaces. They discuss the role and position of the interpreter, dynamics and power structures, and provide an action plan for getting interpreters to adopt a social justice framework. 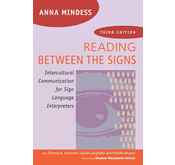 Posted in ASL, Deaf academics, Deaf Eyes on Interpreting, Deaf leaders, Deaf Professionals, interpreters, New book, Deaf Eyes on Interpreting, videos from book contributors and tagged Deaf Eyes on Interpreting, Genie Gertz, International Conferences, Patrick Boudreault, Social Justice. Bookmark the permalink. 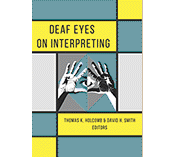 This is the ninth weekly installment featuring highlights from the 20 chapters in the new book, Deaf Eyes on Interpreting, edited by Thomas K. Holcomb and David H. Smith, which is scheduled to be released in June by Gallaudet University Press. As an attorney, Tawny Holmes shares her perspective on legal issues related to access for Deaf college students in her chapter, “Higher Education: Higher Expectations and More Complex Roles for Interpreters.” Her goal is to empower future Deaf college students to thoroughly understand their legal rights so that they may receive appropriate services to support their education. She discusses ways that students can self-advocate regarding the interpreters they will use to access their education. For example, she comments that even though it is nice to have a “certified” interpreter, it is better to have one who is well-versed in the major area of study. She recounts her own experience in law school, where the interpreters were not familiar with the legal terminology used in her classes. So she had to spend extra time preparing the interpreters in terms of vocabulary and sign choice. 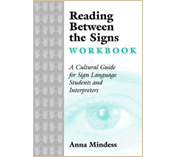 Posted in ASL, Deaf Eyes on Interpreting, Deaf Professionals, interpreters, New book, New book, Deaf Eyes on Interpreting, personal narratives, videos from book contributors and tagged american sign language, Deaf Eyes on Interpreting, Deaf lawyers, interpreters, Tawny Holmes. Bookmark the permalink.